To be a high-producing energy company committed in delivering superior results to investors through oil exploration, development and optimization in South Texas. Due to instability in natural gas and electricity prices, Emerald Bay Energy has divested most of its Canadian gas assets and electricity generation project. Since 2010, the Company has focused on and will continue to pursue, oil opportunities in South Texas counties Medina, Bexar, Atascosa, Guadalupe and Gonzales. 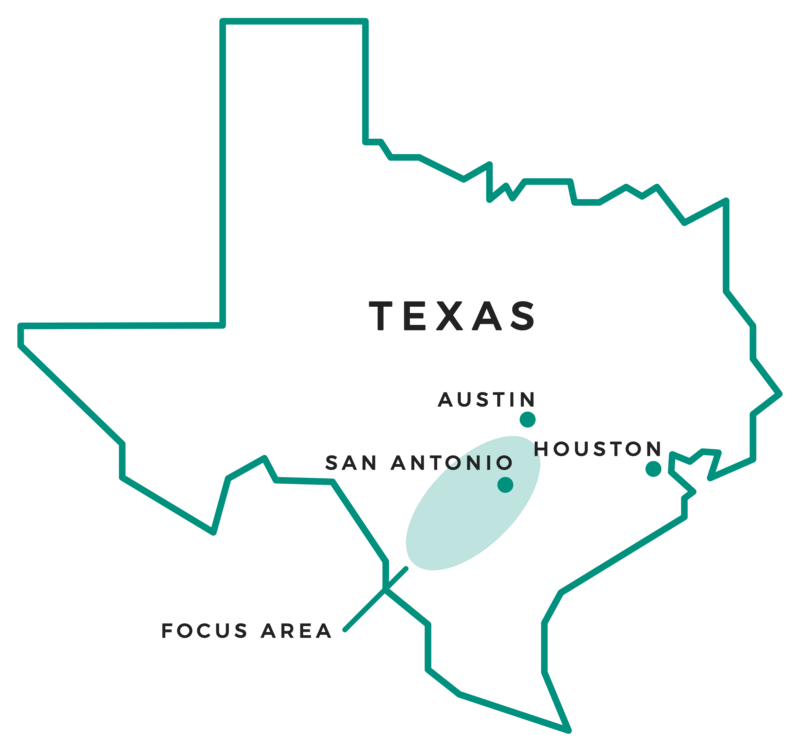 In 2019, Emerald Bay is focusing its efforts on its Wooden Horse Kuhn wells, partnership with HugoCellR Ltd., and projects with its subsidiary Production Resources, Inc.
125+ “in-fill” drilling targets in Atascosa, Medina and Bexar counties. Infrastructure is complete at Wooden Horse project. To create revenue streams from natural gas wells that are uneconomical to produce EBY builds a natural gas-fired electrical power generation plant near Nevis, Alberta. EBY sells first oil loads at Wooden Horse and begins Nash Creek seismic. Mineral leasing operations continue for EBY in Medina, Atascosa, Frio and Guadalupe counties. Ends its R&D efforts and transitions to exploration and production of natural gas in Central Alberta. Founded as a research and development entity to develop the patented Lateral Drainhole Drilling Technology.